Introducing the world's first interchangeable snowmaking system with a 'low-energy' solution for every location on the mountain. Designed for superior control and snow quality, Seven STEP Technology has a linear flow curve with a 2°F/1.1°C STEP change. This smooth transition optimizes snow quality and production in manual, and automatic modes. Our patented, modular platform gives you the flexibility to select interchangeable heads with fixed or variable airflows, high velocity 'Multiphase Nozzles' and 'stackable' configurations to suit any condition / location. Our signature Four STEP Technology has been redefined. 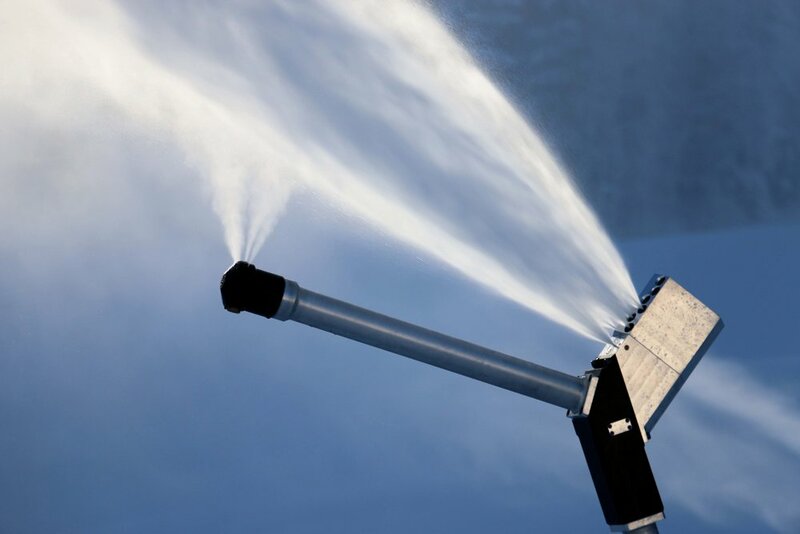 While it's still the benchmark for ultra-low-energy snowmaking at 5-8cfm in ALL STEPS; you now have the option to add 'Variable Air' and 'Multiphase Nozzles' to cover all terrain / conditions. We've also refined the spray pattern of the latest Four STEP Head for earlier start-up and drier snow production. Plus, technology already in the field is easily upgraded by simply 'swapping' out the head. In today’s climate, you need snowmaking technology that can change as quickly as the conditions do. Snow Logic’s interchangeable platform provides customized tools for every location on the mountain. 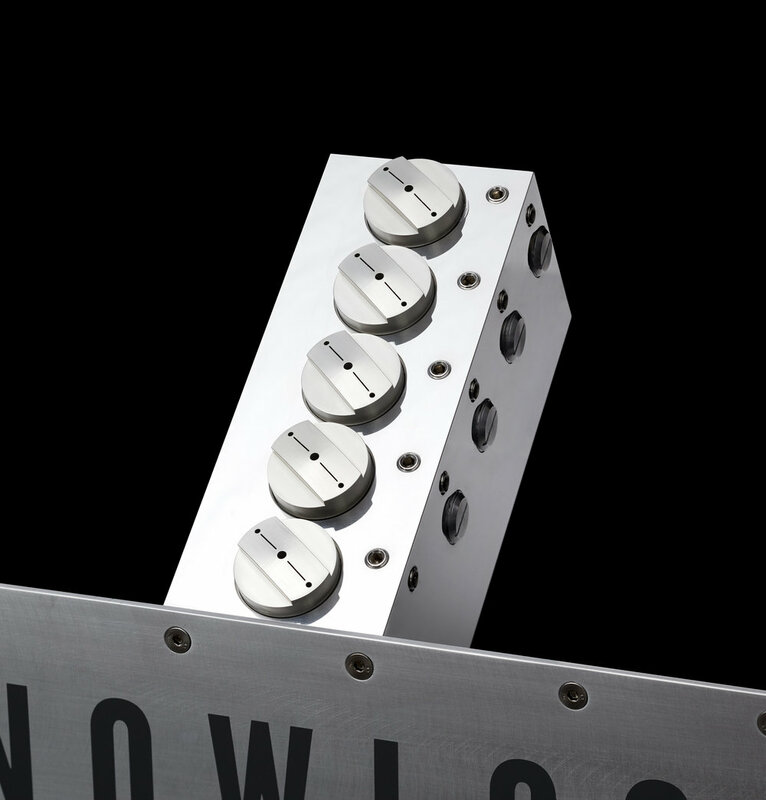 All of our models have the same ‘chassis’ so you can convert any Snow Logic Snowgun (Striker, Stealth, Tower) by simply changing the head / manifold configuration. Based on the unmatched efficiency of Dual Vector Nozzle Technology, Multi-phase nozzle‘s synergistic design harnesses water pressure to efficiently break the water’s surface tension as it flows through the nozzle to produce water droplets. Compressed air (20, 30 or 40cfm) is injected into the plume at a precise angle to create small, homogeneous droplets that convert faster in marginal temperatures and low pressure locations (100psi+). Plus, smaller water particles produce a ‘drier’ snow quality for efficient slope resurfacing. The nozzles unique form creates a strong, high velocity plume that fights cross winds and covers wide, open trails with ease. Snow Logic's low-energy ‘all-mountain’ technologies use ‘sufficient’ energy for each application. For maximum efficiency in marginal, windswept, and low pressure locations, we've introduced 'variable airflow' technology to boost performance without the high energy requirement of other technologies. With fixed (5-8cfm) and variable air flows, Dual Vector technology is the most efficient technology solution for every hydrant location. 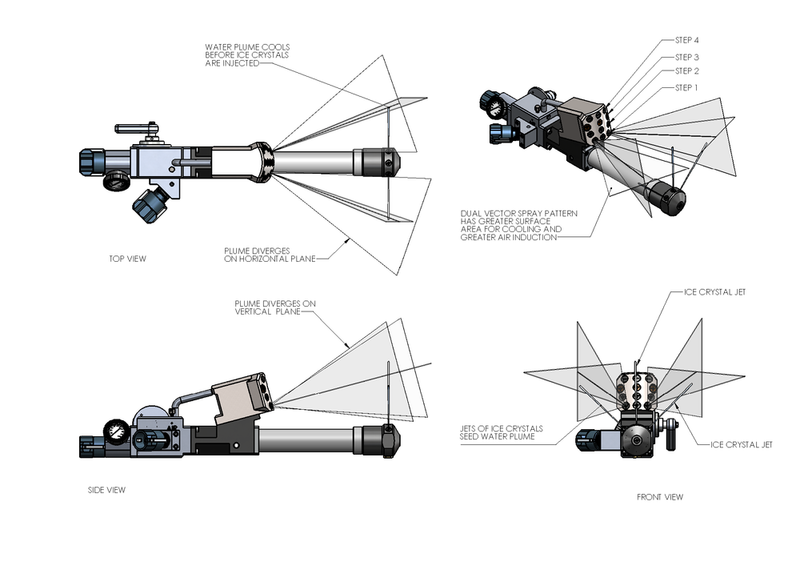 Snow Logic is dedicated to offering the lowest energy snowmaking solution in every 'class' of technology. 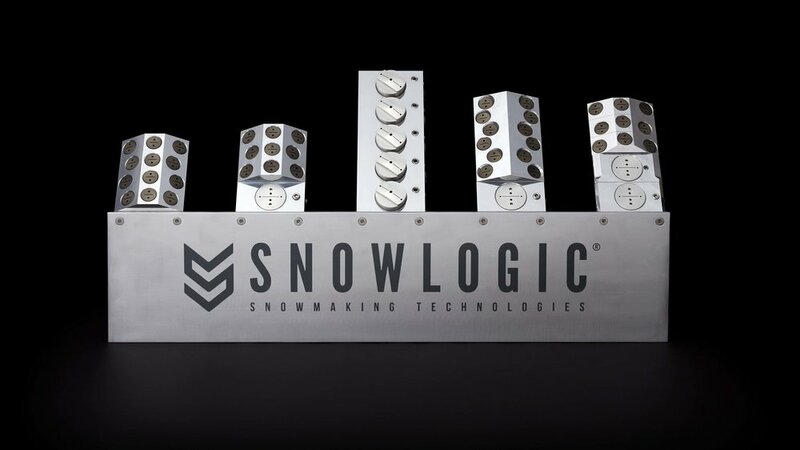 The unmatched efficiency of Snow Logic's ultra-low-energy technology is achieved by the distinctive design, Dual Vector® Nozzle Technology and a patented nucleation process. Our unique nucleation is optimally placed to efficiently seed ice-crystals into the plume.